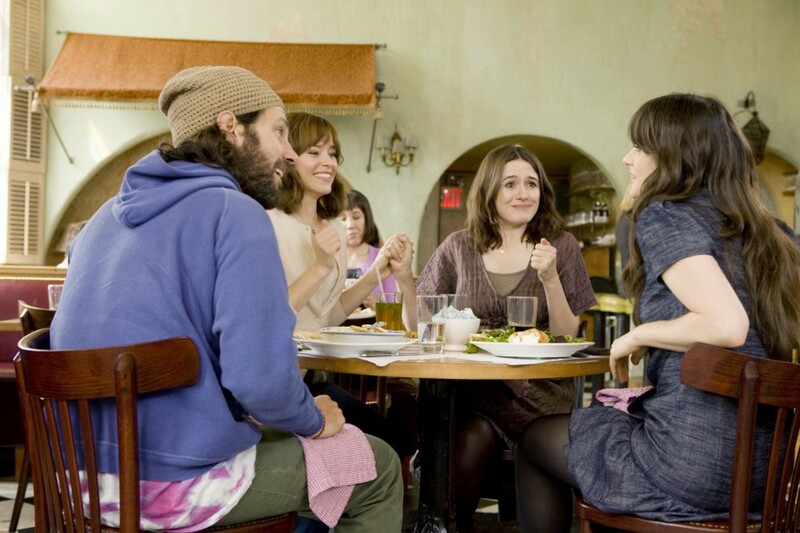 Your ability to enjoy Our Idiot Brother hinges on one thing: your ability to enjoy Paul Rudd. If you don’t like him, which is unlikely considering his career is built on being likeable, then you will not like this movie. In this movie we find Rudd at his most laid-back and whimsical. He is not uptight or broken like he is in movies like Knocked Up or I Love You, Man. Here he has already discovered the man-child within. Modern comedies are especially infatuated with hopelessly care-free fools like the one at this movie’s center. They release a passive aura around the audience, which is odd because they often have the exact opposite effect on the other characters in their respective films. Rudd’s Ned is no different. Where he and his laid-back lifestyle go (in this case to his three sisters’ homes), chaos ensues. The whimsical, Dude-esque man-child injects levels of honesty into an environment that is not built for it. Ned’s three sisters, Miranda (Elizabeth Banks), Natalie (Zooey Deschanel) and Liz (Emily Mortimer) are all successful in the traditional ways. They either have a job, a couple children, or a significant other that they treasure. However, they all betray those things in one way or another because their “idiot” brother is incapable of lying to keep the world in balance. The screenplay alternates between making us laugh at Ned’s disruptions and making us as angry as his sisters. What it thankfully doesn’t do is condescend to any of them. The director Jesse Peretz seems eager to move past conflict in the screenplay, so much so that the all-too-tidy ending doesn’t feel quite as contrived as it should. Peretz knows that his movie depends on Rudd and the rest of the cast, and allows the supporting characters (mainly Rashida Jones and Steve Coogan) to steal the comedic spotlight at appropriate moments. Our Idiot Brother creates an atmosphere of understanding around all of its characters and their problems. To say it is about anything other than Paul moving past a speed bump would be stretching it. Rudd is so hell-bent on being nice that he recalls Sally Hawkins in Happy-Go-Lucky, a movie that this movie doesn’t aspire at all to be like but whose protagonists share the same overly-kindred spirit. Ned finds himself in a financial pickle because he sold marijuana to a uniformed cop claiming to be having an off week. His niceness is his problem and his family’s solution. Peretz and the writers treat them all warmly, and allow the actors to give performances that go beyond their own cliches and into a territory that sometimes even feels real. Someone like Ned would typically be the supporting character in a movie like this. By putting him front and center and (sort of) exploring his necessity to be the way he is instead of letting him only tell jokes, the movie unintentionally offers a fresh take. In I Love You, Man you wanted to follow Jason Segel’s character everywhere. This movie lets you do that.